The model is shock-proof thanks to tough rubber bumpers. Magnetic case and a strap provide hands-free operation. ABC keyboard might seem a bit inconvenient in comparison to familiar QWERTY. 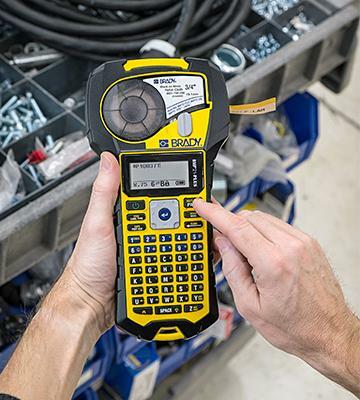 Due to the ability to work in tough conditions, this label maker can become a perfect assistant for electricians, installation personnel, and industrial enterprises. This device lets you create labels of texts in numerous programs. If the gadget doesn't work for some period of time, it shifts to a sleep mode thereby reducing energy consumption. The model lacks the function of auto cutter. Taking into account high efficiency of this gadget, it will be an ideal option if there is ever a need for products' inventory. Thanks to TZe tapes, all printed texts and pictures are protected from external hazards by a thin layer of a transparent film. Batteries don't provide long working time, as opposed to AC adapter. 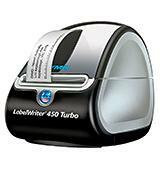 If you need a label printer to use in the office, this particular model will suit you best due to its compatibility with numerous operating systems. The rechargeable battery pack provides long working hours without a power supply, and the large display allows for labels preview. All this makes this model extremely comfortable in use. Letters on the display aren't big enough. 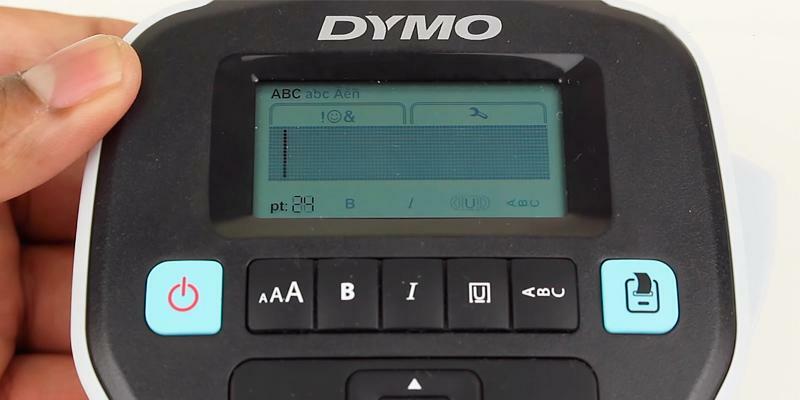 Dymo 280 label maker will suit those who are looking for a versatile device capable of working with both, usual tapes and flexible nylon labels. Thanks to small lead margins, it is possible to save printing material. 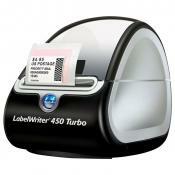 Moreover, built-in memory allows printing out one of the last 30 labels. The process of label printing is a bit time consuming. 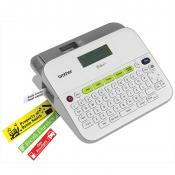 This label maker will meet the needs of a small shop perfectly where a price label printing is essential. BMP21-PLUS is a universal thermal transfer printer which allows you to perform numerous tasks concerning labeling of electrical and telecommunication equipment, processing systems, and data transmission tools. 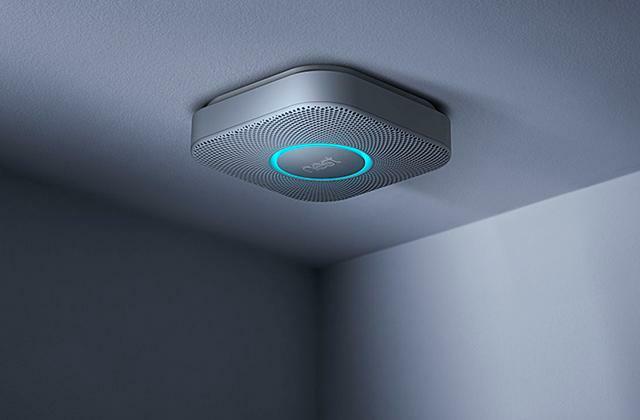 The device has a rugged design and is made of high-quality materials. Moreover, rubber bumpers on the sides prevent the device from damage in case of falls. Such characteristics make the tool a perfect assistant if you need to work in tough conditions. 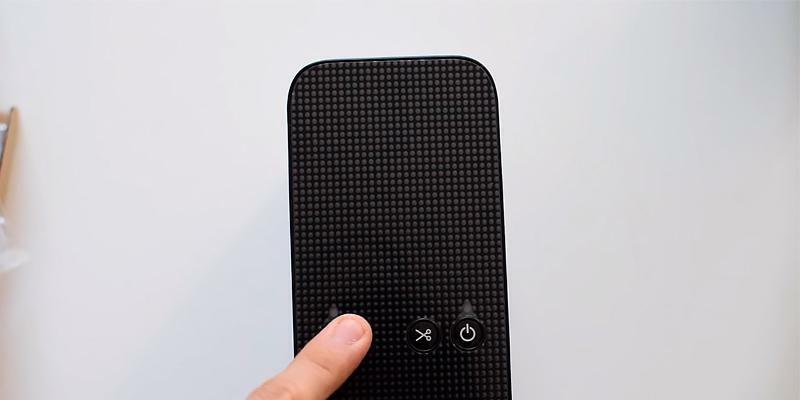 What is more, the size and the body make it possible to hold the device in one hand without discomfort. 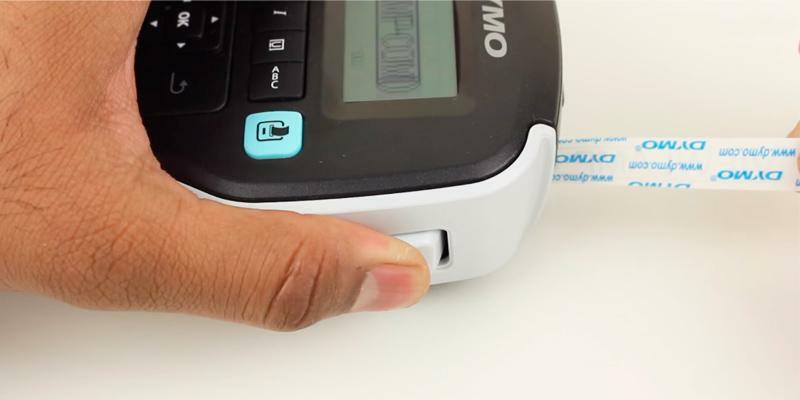 However, if you want to have a break and don’t need to use the device for some time (or you need to work with two hands), it is possible to attach this label maker to a metal surface with the help of magnetic holder. 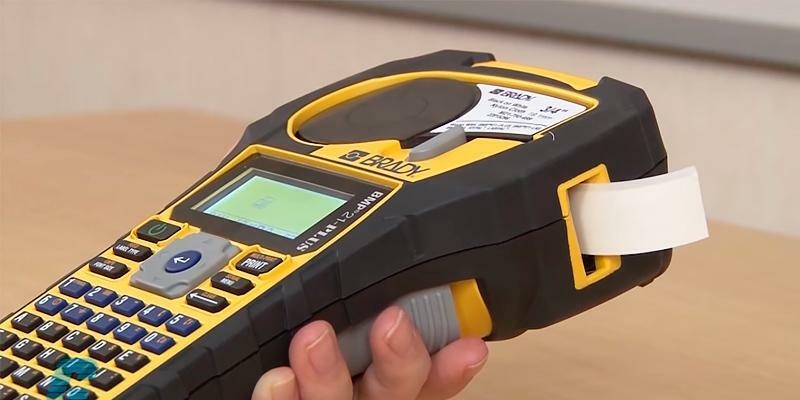 You should also be aware of the fact that this label maker meets MIL-STD-810G military standard and, thus, can be used even in the military sphere. Brady is a world leader in the labeling equipment production. The main direction of Brady is product identification technologies for all industrial spheres. 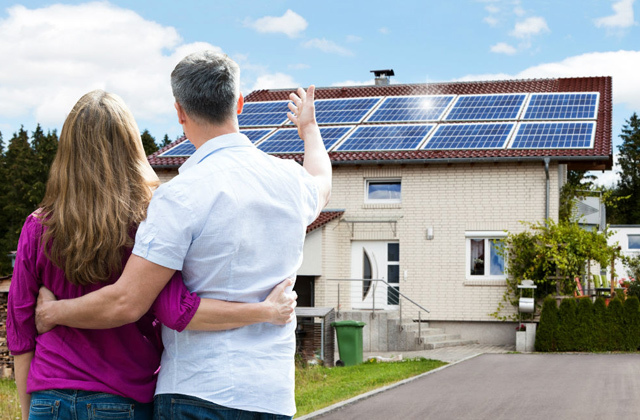 One should also point out the fact that the company invests heavily in customer needs research and tries to develop most modern conceptions so as to meet the requirements of clients all over the world. During almost hundred years of existence, Brady has been associated with high quality, trust, and reliability. Nowadays, the company provides their clients with numerous products including portable printers, thermal transfer printers, durable materials for both portable and desktop laser printers. Moreover, Brady is constantly working on the development of their own operating systems for devices. If you want to learn more about the company's history and its inventions, visit the official site. 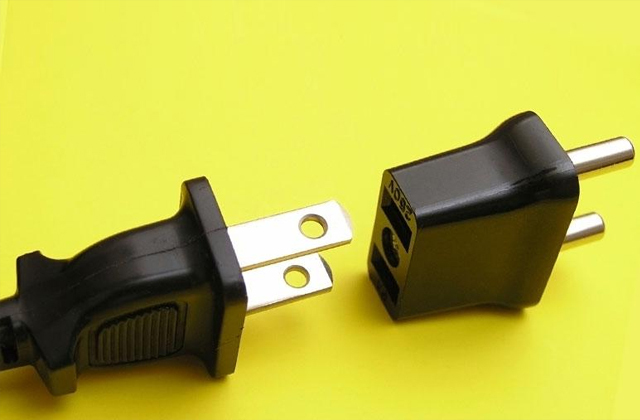 If you don't want to waste your time and money on changing batteries, you may be interested in buying a special brady battery to provide your device with additional power. 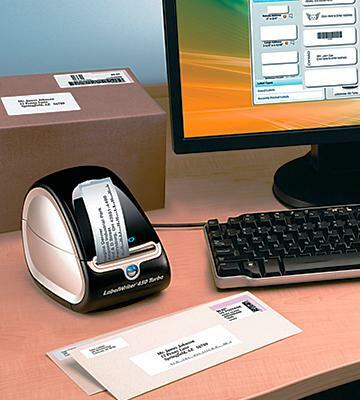 This desktop label printer is extremely efficient. The model is able to provide labels for a large warehouse. 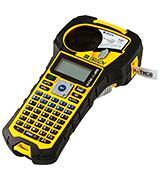 And if you need to mark some products before sending them to the shops, this device is an ideal option. 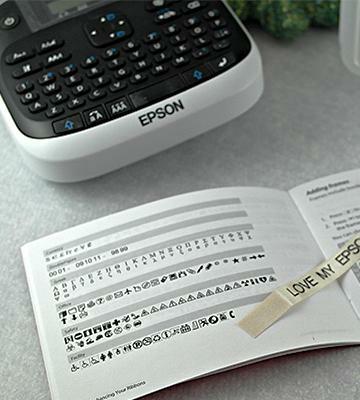 Since the printer works being connected to the computer, you can create labels in special programs where you can not only type text but also process pictures, or use the patterns provided by the manufacturer. 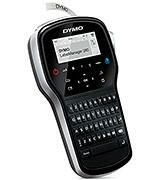 Using a special software, this label maker allows printing out labels from such popular programs as Microsoft Word, WordPerfect, Outlook, and QuickBooks. This software also lets you print out USPS-approved postage stamps without taxes or monthly subscription – the only thing you need is the Internet access. 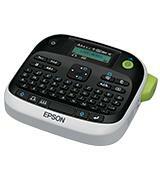 Due to thermal print which doesn't use ink, the printer is very economical. 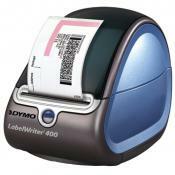 The popularity of Dymo Label Writer 450 is also conditioned by versatility of its application. For example, today post office workers cannot imagine their working day without using a label maker. On having none, they wouldn't be able to edit labels and create barcodes as easy as it's possible with one at hand. 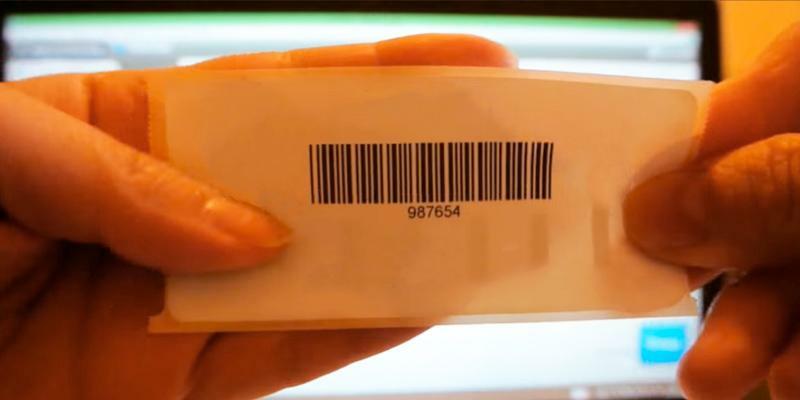 Barcode is a modern technology used to easily enter and retrieve a large volume of data from a small picture. The first barcode was invented on April 3, 1973. It was created to make the process of product record more convenient and automatic. Nowadays, every item you see in a shop has its own barcode, and information included there can be easily deciphered with a special scanner. The most wide-spread barcodes for coding are UPC-12 and EAN-13. As this label maker is good at barcode printing, one should think about buying a barcode scanner to have a full set for efficient work. A lot of users who have never dealt with the process of label making think that it is a difficult time-consuming process that can be carried out only by people with special skills. 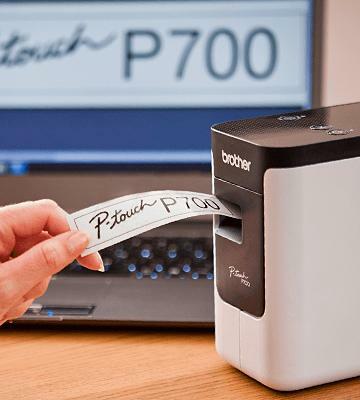 However, those who had a chance to use Brother PT-P700 claim that there is nothing easier than label making. 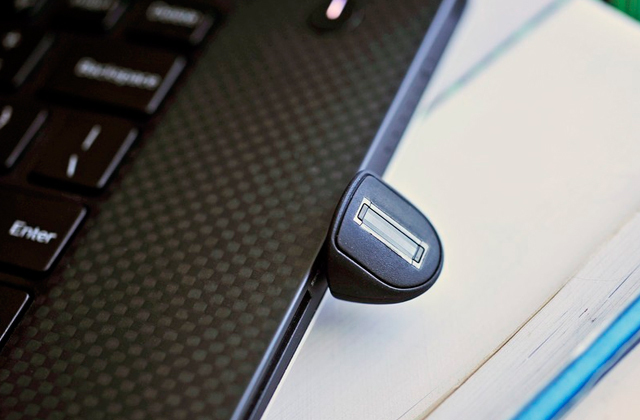 The first thing you need to do is connect the printer to your PC or Mac. After that, turn the printer on, type the text and print the label. As you can see, the procedure is very easy and anyone can use this device. One more pleasant advantage which adds points to the simplicity of use is a built-in cutter that allows cropping and editing labels. 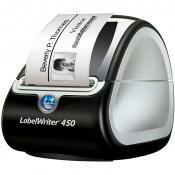 An important peculiarity of this label printer is that it can be used both at home and at work. All in all, the device easily copes with labeling of folders, documents, disks and USB cables. The tapes used for printing labels are made in accordance with TZe technology. The idea of this technology is that the printed labels are covered with a transparent film which provides durability of tags. Thus, the labels created based on this technology are resistant to wear and tear and discoloration. Such labels can be damaged neither by heat nor by cold. They've also proved to be well resistant to water and even to some chemicals. At the same time, they easily stick to any surface. Such tapes provide labels of high quality where texts and pictures are clear and highly secured from outside hazards. Additionally, they contain less plastic than some of the tags made on other printers. 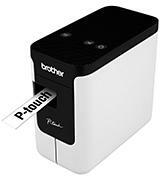 Brother PT-P700 label maker is able to print on color tapes. That's why customers also pay attention to these printing materials. 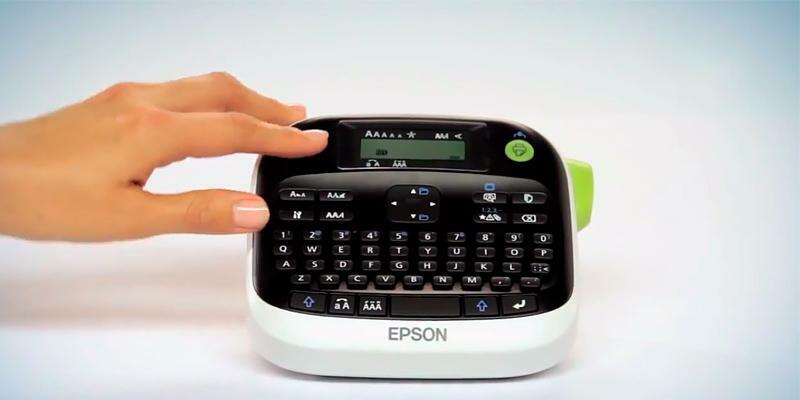 As we have already mentioned, there are two types of label makers - desktop printers that work when connected to the computer, and portable ones. 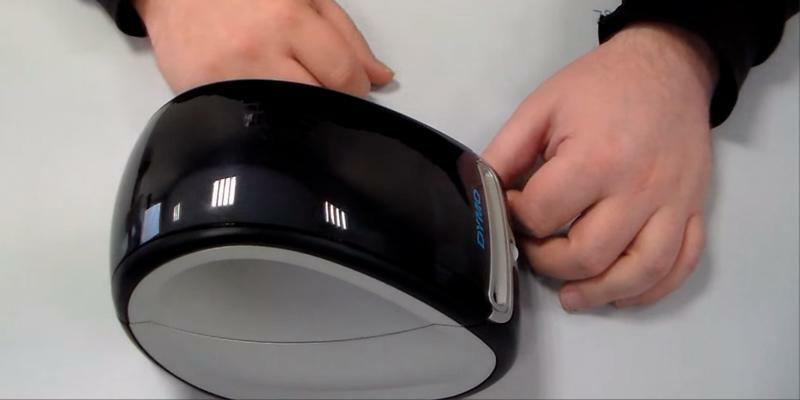 However, the manufacturer of this gadget decided to create 2-in-1 model, using which you'll be able to print out labels in the way you like best. 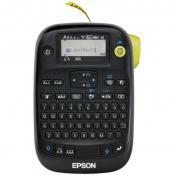 Consequently, if you want to make up a label on a printer, you can use its keyboard and display. If you'd like to make a label on the computer, this is even simpler. All you need to do is install a special application and after that, get to work. Using a computer for labeling is much more convenient. 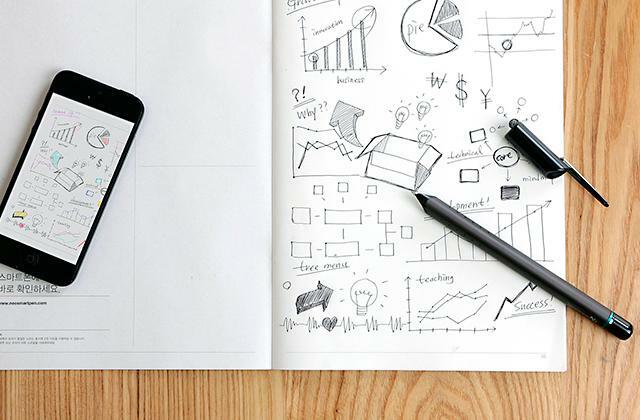 You'll never run out of sketches and patterns due to the broad choice. On the other hand, not everyone needs a stationary unit and will make more use out of a portable device. 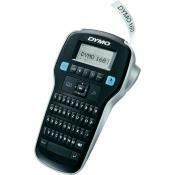 The obvious advantage of Dymo Label maker is that it combines functionality of both, giving users flexi options. The device boasts printing capacity of 10 copies at a time. This makes it suitable for delivering a large volume of labels. What would you think was the original date of first label maker emergence? 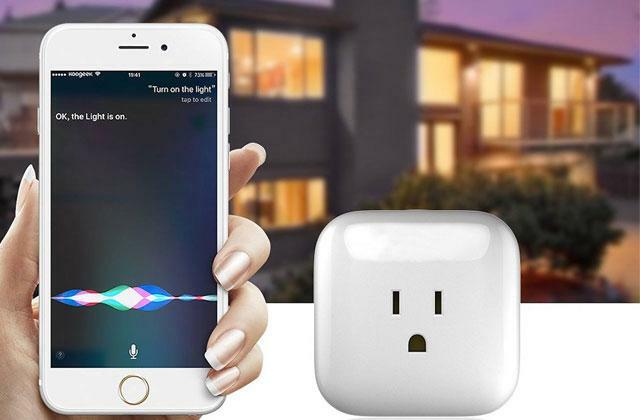 Undoubtedly, most of you believe this device has been designed in a modern technological era. But historical facts prove different. You might be surprised to find out but the ancestors of modern labels were discovered on amphoras, bottles and pottery vessels in the ancient world and were used to mark the ingredients, their shelf life and producer. Those labels were made of leather or papyrus until 1880 when the first prototype of modern labels appeared. They were drawn by European artists to not only convey some information but also attract customers' attention. Only hundred years later, an Inkjet printer was introduced to the market. It drastically changed the whole process by reducing the time on label making a lot. Pretty soon inkjet printers were replaced by laser printers. Since these printers aren't very much expensive and affordable for most, today people use them for marking their possessions, devices and documents. To make the process of transportation more convenient, we offer you to pay attention to case bag where you can also keep cartridges with printed labels. 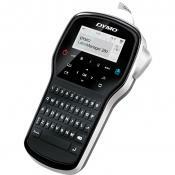 Very easy to use, have no problem to download the software from Dymo website. Also, we can use any font from PC and Mac, and even can type in a different language. It prints on 6, 9, or 12 mm tape. The 12 mm stuff seems to be the most available and it lets you fit in 2 lines, which is convenient for small labels (most of mine so far seem to have used the 2 lines). Love it. Practical, easy to use, compact and convenient. 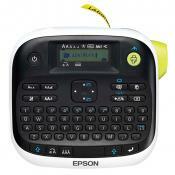 Despite its small size, this label maker suits most office needs where labeling is an essential and routine job. Contrary to most other devices of the kind, this one comes with a built-in QWERTY keyboard, using which you can customize editing options and make up a visually appealing label with an attractive design. 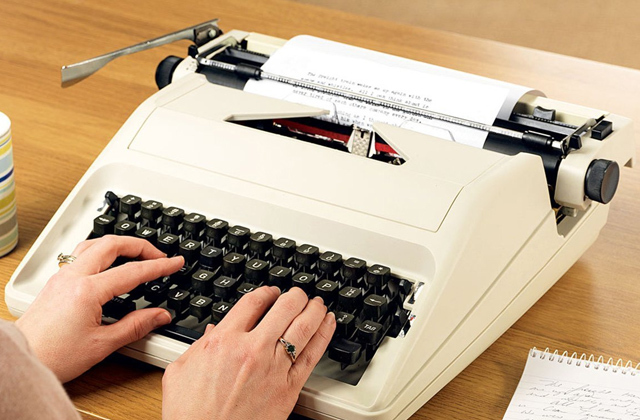 The printer features an LCD display to monitor the typed piece of text. Some consumers find it rather small, but actually, we do believe it ought to be sufficient for capturing 2-line labels. It’s also possible to change the margins of labels, meaning significant reduction on costs and printing materials. But what we like best about this label maker is that it can be charged from both battery and the mains. 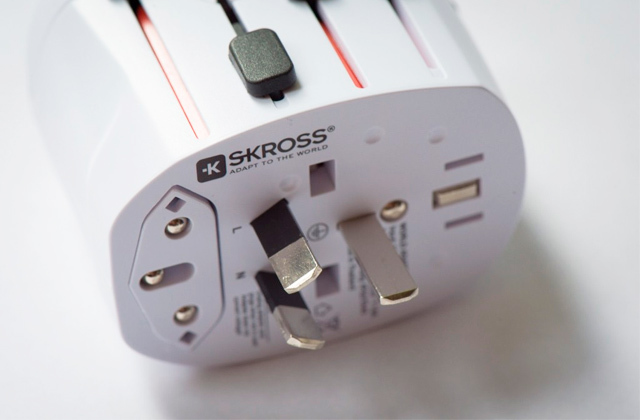 This makes it a perfect portable companion on a road and a reliable assistant in the office. Have you ever mused upon the purpose of a label maker? If no, we’d gladly answer. The initial idea of producing a label maker was to arrange different items in order, helping people enhance efficiency of work and making things clearer. Wherever you go, you’ll find plenty of shelves stuck with folders, documents and discs that despite their importance quite often create a mess. To find the right item, it’s easy to spend a few hours and get despaired (in case of urgent need). 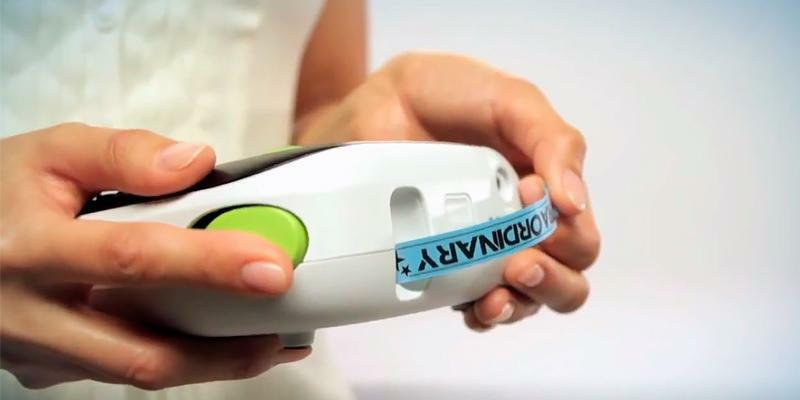 To not let that happen, a label maker has been widely used worldwide. With a label stuck on the cover, all your items will be on display and within easy reach. A lot of dangerous items in industrial enterprises that may hazard to health are also labeled so that workers know that they need to be careful. If you use label maker in your office, think about purchasing folder set since it can help you put all your documents in order. Once you have the options set right, it is awesome. It is really easy to turn on print your label and then turn off. I also love that you can choose between different fonts and write in two lines! Love it. Compact. Gets the job done. Easy and fun to use with lots of different fonts, & symbols. What is a Lable Maker? It often happens that people don't have time to organize their lives in a proper way - we are always in a hurry and like to postpone really important things. Nevertheless, from now on, there is a chance to put things in order no matter where you are. Label Makers are devices used for printing barcodes, pictures or texts on a special self-adhesive tape or another material. They are irreplaceable in commercial, industrial, warehouse and haulage operations. 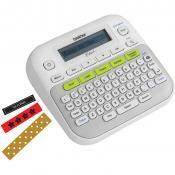 Label makers can also be used at home for other purposes. A lot of customers use them for marking foodstuff items, furniture, packages and so on. As you can see, they are very handy devices with multi-purpose functionality. Keep on reading and make your choice! 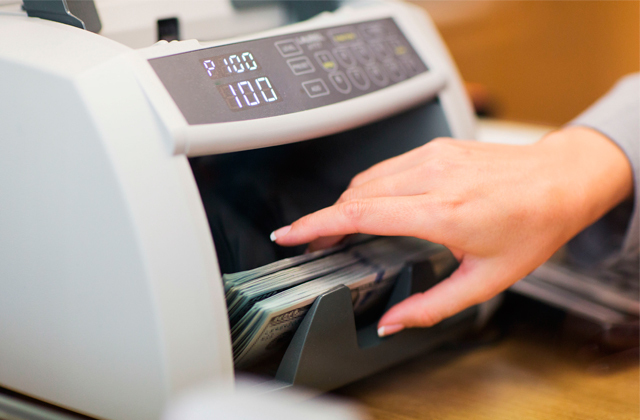 For business purposes, you may also be interested in receipt printers, more professional equipment used to print out receipts at shops. 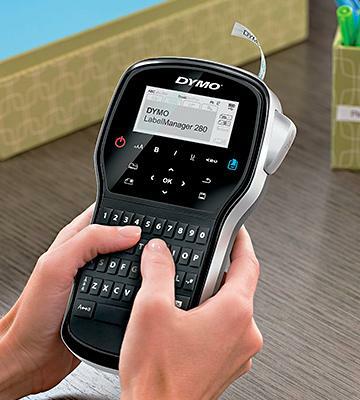 Considering the type of label maker, there are two types - portable and desktop. Portable label makers are small in size, they aren't as efficient as those used in commercial enterprises, yet, they are best suitable for consumers who need to process a low volume of products and who often travel from one place to another. Desktop label makers ought to be connected to PC. They can produce a big amount of labels and they support editing options. This is one of the main reasons why they are frequently bought for business purposes. Speaking about printing technology, thermal transfer print is more widespread nowadays. Its popularity is determined by a high print speed and resistance to light, warmth, wear and tear. There is also a thermal technology which is more economical than thermal transfer print. However, it is compatible with less number of printing materials. This significant feature is determined by several factors. Printing speed will tell you the number of printed labels. 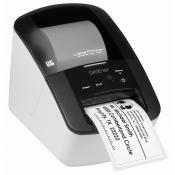 Modern label makers can produce from 0.24 to 1.18 inches of text/picture/barcode per second. Thus, the higher the speed is, the more labels per day you can make. 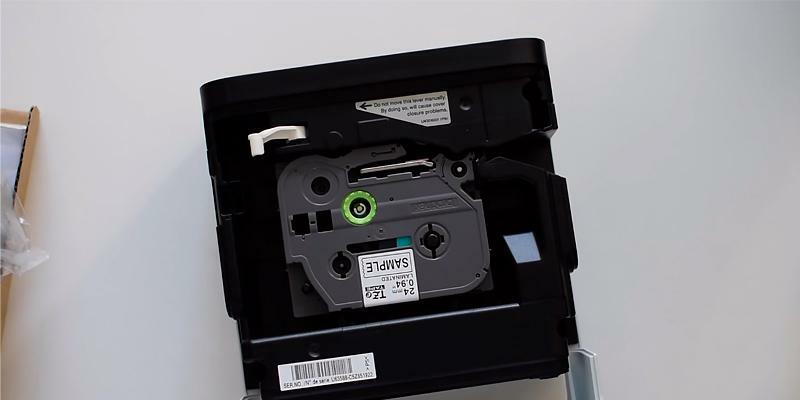 Tape width varying from 0.5" to 2.35" determines the number of lines you can type on a label, meaning overall printer's usability. Resolution is of vital importance too since it determines the clarity of printed text or picture. 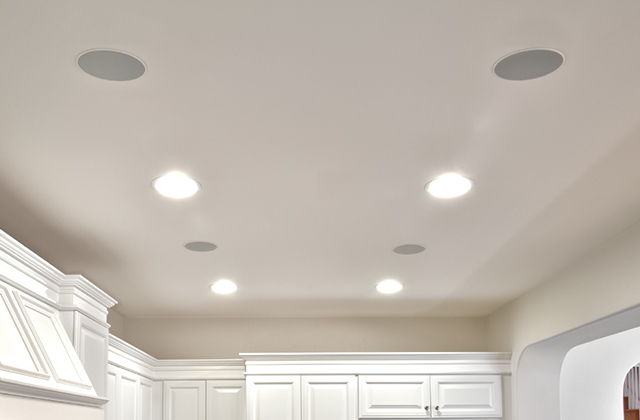 Having considered the main features of your future-to-be device, pay attention to additional characteristics. 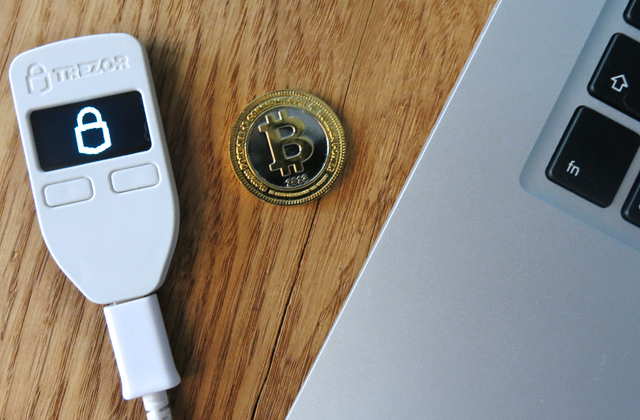 Those who want to purchase a portable model may be interested in a full-sized keyboard and a display in order to create labels directly on a device. 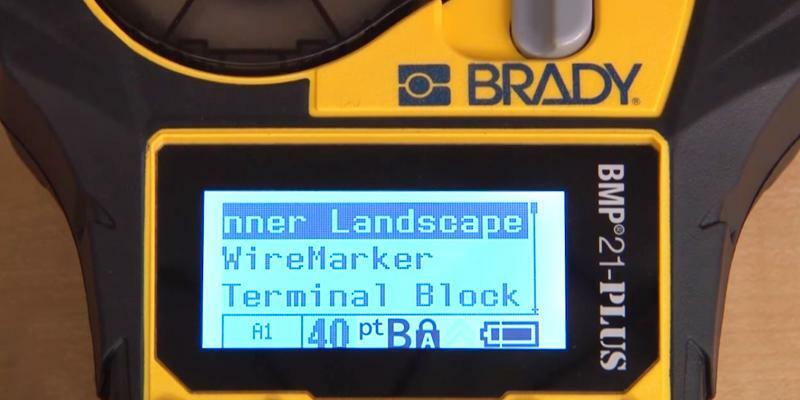 To make labels look even better, make sure that your chosen device has a built-in auto cutter. The ability to change margins will allow you to print more text on a label and save printing materials. If you constantly need to change label design, you should look for one with graphics editing options. Some models can save label drafts to internal memory. This function may come in helpful if you've got no option to print out your drafts immediately and want to do so later on. The choice is vast, so keep your eyes open. 1. Carol Finch, How to Choose a Label Maker, Yourbusiness. 2. How to Buy a Label Maker, Consumersearch. January 2014. 3. Choosing the Right Barcode Printer, Barcodesinc. 4. The History of Self Adhesive Labels, Wordlabel. 5. How to Use a Label Maker? Reference. 6. Marisa McClellan, The Best Label Maker, Thesweethome. January 11, 2016. 7. Label Printer, Wikipedia. July 26, 2016.